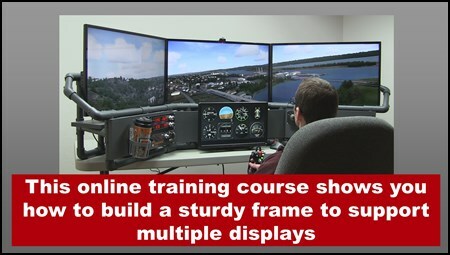 This online training course shows you how to build a multi-screen flight simulator. You can build it at home with common hand tools and materials from your local home improvement store. 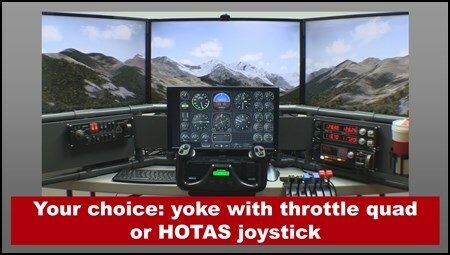 Build this multi-screen flight sim for your home, school, EAA chapter, CAP squadron, etc. This project is fairly large, but it fits on a standard 6 foot folding table. I chose to include this folding table because they are inexpensive and widely available for only $40 or $50.